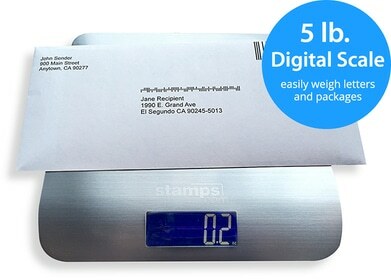 Stamps.com makes it easy to track packages and share USPS tracking numbers with your customers. Once you print a shipping label, you can choose to email the tracking link information to your customers from within Stamps.com. Providing your customers with a USPS tracking number keeps them in the loop about the delivery status of their orders and at the same time, you demonstrate a high level of customer service by making their package details easily available. Since tracking information is readily accessible for your customers, the number of customer service calls and requests to track shipments are greatly reduced. To track your USPS package, all you need is the package tracking number, which can be found on your USPS shipping label or within your Stamps.com account. Enter the USPS tracking number (to find it, simply look at the bottom of a shipping label) in the search bar; do not include any dashes or spaces. View the scan history and status information of your package. You can also view this information by entering the tracking number in the search bar near the upper right corner on www.usps.com. Connect to Stamps.com to track a USPS package - Our free software (download here) connects you to your Stamps.com account where you can access the shipping details of all your packages. Select the “Search” tab - In the Stamps.com software, click on the “Search” tab in the left navigation. Click on the “Status” link - You will see all the shipping details of your packages. Here, choose the tracking number of the package you want to track. View tracking information in the Transactional Details window - This window displays the shipping and status information, along with the delivery and destination addresses, weight, mail class and postage cost for the selected package. Print or email the tracking information - Print and keep the information for your own records, or email it directly to your customer.